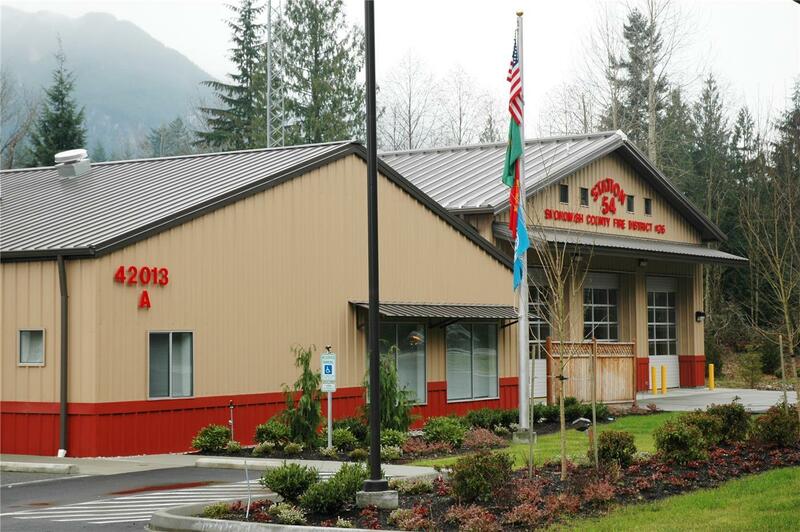 This project was the expansion of the Gold Bar Fire Station and Training Center. The responsibilities of Harmsen included surveying, civil engineering, and landscape architecture for the building expansion. We prepared the design of a 2,000 foot extension of 12-inch water main down Highway 2. This water main was coordinated with WSDOT for future intersection improvements to Pickle Farm Road. In 2007, Harmsen prepared design and documents for an additional storage building on the site. We prepared the site plan, modified the existing Conditional Use Permit and prepared environmental documentation for site plan approval. Construction documents were prepared for approval and bid that included runoff control, grading and erosion control. An infiltration pond, biofiltration swales and an underground, infiltration trench were used to treat and mitigate stormwater. Harmsen prepared civil site drawings for the Fire Station expansion utilizing stormwater infiltration and special consideration for winter grading. We also prepared an attractive northwest landscape plan for the redeveloped area around the building. We prepared a planting plan that adhered to strict County requirements and budget restrictions. The plantings visually softened the buildings, screened parking areas and enhanced the visual appearance of the site.